North Ayrshire Council is set to launch a multi-million pound generation of its council housing estates. If approved, the ambitious programme will see improvement works carried out across the region. A minimum of £10 million would be invested in addressing a range of issues in council estates such as external appearance, parking provision, road and footpath condition, anti-social behaviour, fencing, landscaping and general grounds maintenance issues. North Ayrshire Council’s Cabinet will meet tomorrow to consider the plan which has been drawn up following a successful pilot project, in Bourtreehill, Irvine. This trial saw the creation of more than 230 additional parking spaces and grounds maintenance improvements carried out to improve the amenity of the area. Tenant feedback has been overwhelmingly positive, with residents welcoming the improvements. This has led to a wider analysis of council estates across North Ayrshire, allowing the council to prioritise regeneration projects. Further improvement in stock condition, which is already at a very high level. A recent report shows that over 99% of its stock is compliant with the Scottish Housing Quality Standard. Further improvement in value for money. Over 92% of tenants consider that their rent represents value for money. 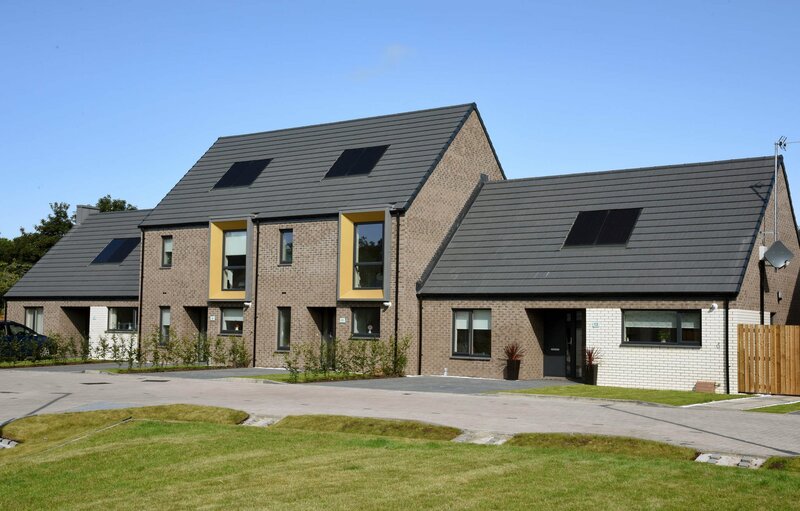 Further improvement in environmental sustainability, building on the 97.4% of properties which already meet the Energy Efficiency Standard for Social Housing. Overall, co-ordinated improvements to the attractiveness of its neighbourhoods. “Our recent Tenant Satisfaction Survey showed that the overwhelming majority of our tenants – 93% – were satisfied with the council as a landlord with 92% believing they get good value for money from their rent.